Description: Flawless Waterfront estate on sheltered inlet offers panoramic views over THE OYSTER POND to the church steeples in town and is sited on a very private lot with its own saltwater dock . Completely rebuilt(2002-03) from the ground up including top of the line heating and cooling systems, this tremendous home offers an inviting kitchen with walls of windows overlooking the water and includes Viking and Wolf appliances, copper farmer's sink and breakfast room. The Great room beckons with soaring ceilings, stone fireplace, and multiple french doors leading to patio. A screened porch with fireplace, solid cherry paneled study and grand gallery are just some additional spaces. 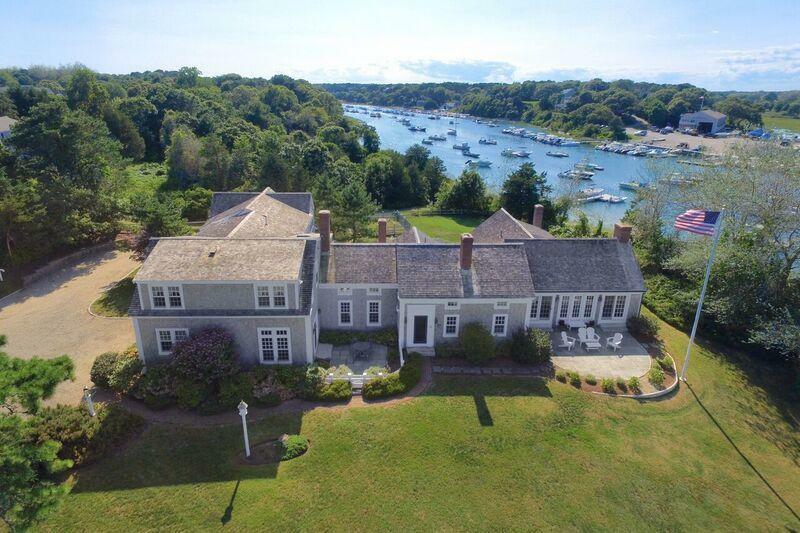 Surrounded by flowering coastal gardens, Pickle ball court and boating access to Nantucket Sound. When privacy matters.